assures the correct ring size at little additional cost for exchange, details here. replaces your ring if your finger size changes, details here. NO QUESTIONS ASKED! Details here. 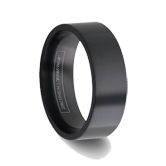 Tungsten Carbide is the only rare and exotic metal that can promise a permanence in polish and finish that will endure until the end of time with your tungsten wedding bands. The original pattern and design in many gold rings will all but disappear after several years. 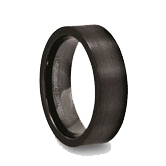 Tungsten Rings will maintain an everlasting beautiful and shiny finish. The heavy weight and the enduring finish of a tungsten carbide ring, speak of commitment, security and an everlasting bond. 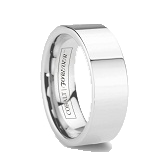 Men's jewelry has diversified greatly with the rise of Tungsten and Titanium jewelry. Tungsten and Titanium products are considered "model metals" or new to the jewelry industry. However, there are many differences between the two that many people don't realize. 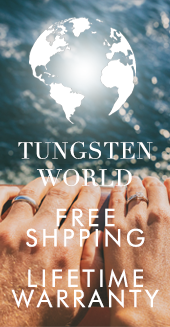 Tungsten's intriguing new features set it apart from Titanium and have thus allowed Tungsten jewelry to become the hottest, fastest growing men's jewelry craze in the nation! Titanium can never have the same high gloss mirror-like finish that Tungsten can have, yet tungsten can also be finished in numerous other duller styles just exactly like Titanium. Tungsten jewelry is 4 times harder than Titanium jewelry. Titanium can be bent and is easily scratched. The weight of Titanium is almost non-existent. It does not have the same luxurious precious metal feel of heavier rings. The manufacturing process of Titanium is strictly industrial. It is easily produced using cheap materials involving almost no man-hours. Tungsten involves combining specific elements in up to 40 separate, labor-intensive processes to fabricate, refine, and polish each ring blank. Rest assured that ONLY Tungsten | Forever carbide rings accurately convey the meaning of the word, "Commitment." 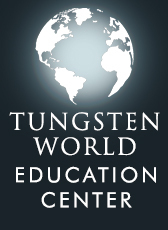 Tungsten | Forever offers only the highest-quality designer tungsten carbide products, enforcing standards most choose to ignore. For example, all of their rings are cobalt-free (when tungsten and cobalt are combined in making tungsten carbide, it can lead to irritation of the skin, rings that can crack or shatter under pressure, and easily be scratched). 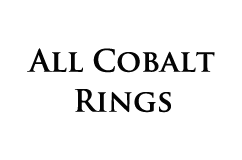 They also pass through a rigorous quality-control inspection and are designed for the best look, feel and fit. The well established Tungsten | Forever line hosts a variety of styles and finished to suit everyone's unique tastes. These rings have been professionally designed to appeal to everybody. We showcase the most popular styles in men's jewelry and guarantee them to please you or your money back! Other Companies sell rings with Cobalt in them and DO NOT disclose this! They do this because it is cheaper and easier to produce.When tungsten carbide rings are made combining tungsten and using cobalt as a binder, they can develop a negative reaction to your skin and are of a lesser quality. They can also be easily scratched. Do NOT trust any rings that COMBINE Tungsten and Cobalt. Only at Tungsten World can you get a truly custom engraving on your tungsten ring. In the event of an emergency, a ring can be removed by a medical professional. Our Tungsten Forever rings are cobalt-free. 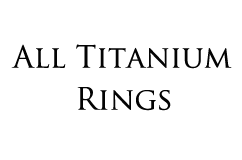 Tungsten with carbon and other elements are ground into a powder and then compressed with high heat and pressure dies to form a ring blank. The blank is then fired in an oxygen-free furnace at an astounding 6,200 degrees Fahrenheit. This process called sintering creates the hardest metal alloy used in making jewelry. The ring is then cut and shaped using diamond tools with up to 40 total separate steps required for completion. The cutting and shaping of a tungsten ring is similar in many ways to the cutting and polishing of a rough diamond. Precious metal Inlay rings with gold, silver or platinum are created by grinding a channel in the center of the ring and precisely "swedging" the metal into the channel under extreme pressure. 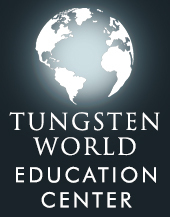 You have gained the knowledge and respect to wear ANY Tungsten | Forever product.